List of 4 news stories. This week's athletes of the week are Marjorie Plants '21 from varsity skiing and Marissa Chow '20 from varsity swimming and diving. 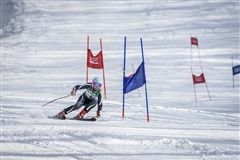 Plants '21 finished 2nd in Giant Slalom and 5th in Slalom assisting Porter's to place 6th as a team at the NEPSAC Class B Alpine Race Championships. 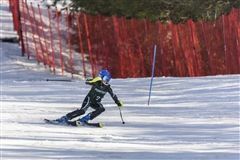 Competing against tough competition, with male and female prep school teams from all over Northern New England, Plants '21 had 4 great runs with challenging courses, large ruts that formed from the soft 6 inches of new snow from the previous day's storm. During this past ski season, she has completed every run in all of her races, finished consistently in the top ten with a couple of finishes in the top 3, and daily - worked hard to improve her skiing and racing. 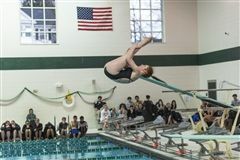 Chow '20 broke the Westminster pool record in the 100 Breaststroke and was on the 200 Medley Relay that also broke the Westminster pool record. That’s two record-breaking swims from this past Saturdays swim meet! Congratulations on Athlete of the Week, Marjorie Plants '21 and Marissa Chow '20. Scores and highlights from February 4 through February 9. 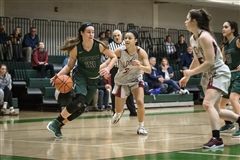 Scores and highlights from January 28 through February 2. Scores and highlights from January 21 through January 16.